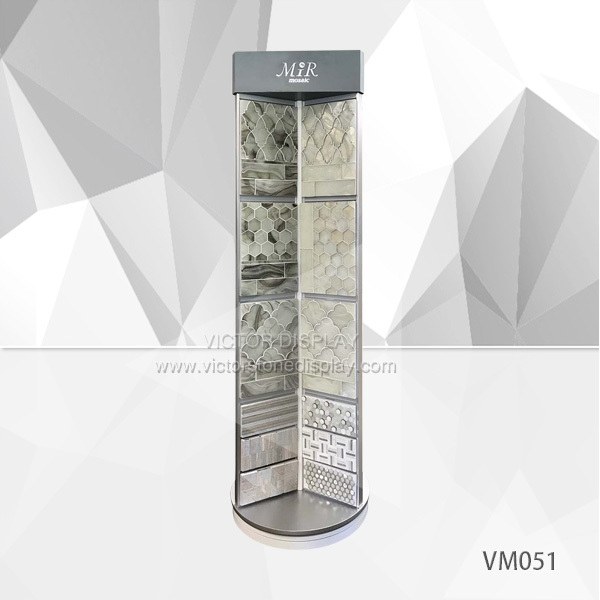 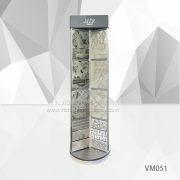 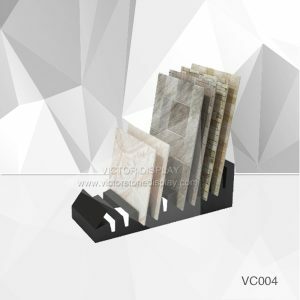 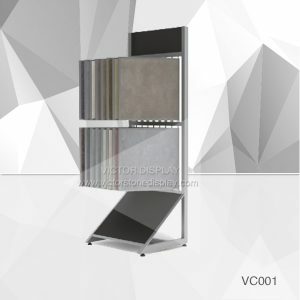 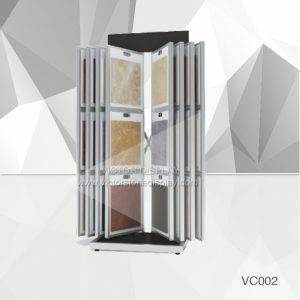 VM051 Display stand for mosaic samples in showroom. 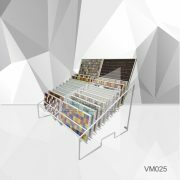 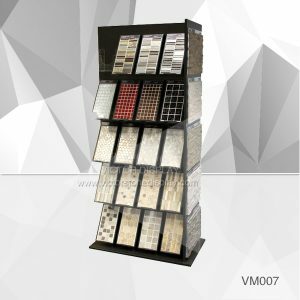 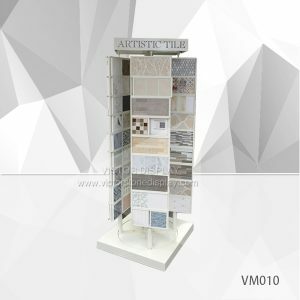 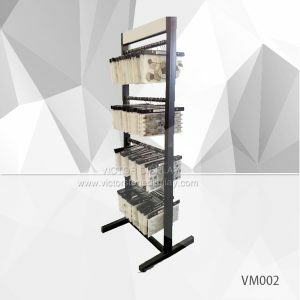 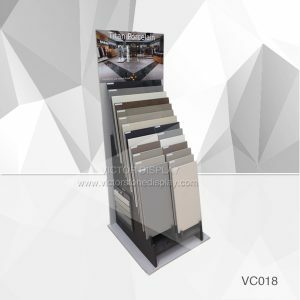 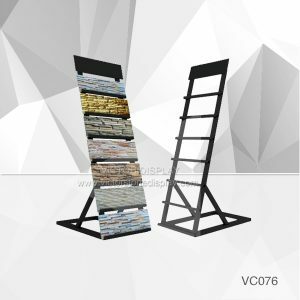 Rotating metal display stand for mosaic tile with display border.Victor Display is the leading Tile Showroom Display Racks manufactures loaded in Xiamen, China. 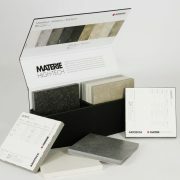 Sample boards also can be supplied.LOGO can be print on the top panel. 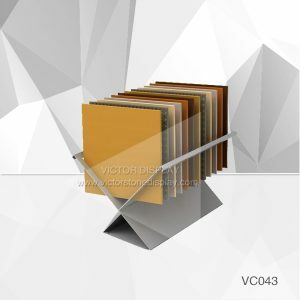 Quality powder coated surface. 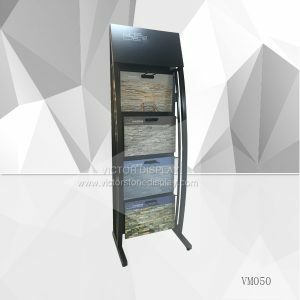 Production time is about 30 days. 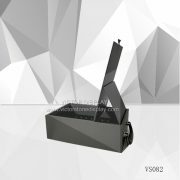 One unit one carton packing, pallet packing can be supply as request.